Have you ever been driving or in the middle of something where it was difficult to stop and type out a text message? That’s why speech to text technology has become so useful — press the little microphone button on your keyboard or in an app, and then talk. The technology behind it will recognize what you’re saying and translate that into text. It makes it easy to send out a text message, email, or jot some thoughts down on a virtual notepad without stopping to type. The iPhone XS might already have speech to text built into the keyboard, but sometimes the features it offers just isn’t versatile enough for different tasks. That said, you might want to consider one of the 5 best speech to text app for iPhone XS. Here are our top picks! Voice To Text is first up on our list, and it’s one of our favorites because of just how efficient the technology is. Open the app, start talking, and your voice is instantly converted into text as you talk — it uses a state of the art speech recognition API, which means that the transcription is extremely accurate as well. One of the neat things about Voice To Text is just how many languages it is able to support — there’s actually support for 29 different languages and accents. The app makes it really easy to share your text to other places, such as a social network, through email, or through your text messaging app. Transcribe is one of the better speech to text apps out there. The developer describes this app as your own personal assistant for transcribing content. You can easily transcribe videos and voice memos into text, but you can also transform speech into readable text as well, whether that be subtitles for a movie, an email you want to send or a text message that you want to shoot out. It’s worth noting that Transcribe is free to download, but they do charge you by the minute of transcription. However, it’s extremely accurate and is able to understand what you’re saying the first time. Just Talk is the next speech to text transcription app on our list, and it’s actually one of the more colorful and beautiful apps on our list. There’s no more typing needing with Just Talk — open the app, start talking, and you’ll get instant and accurate speech to text transcription. Just Talk leverages the power of thirty two different languages, and they also make it easy to share the transcribed text — just press the share button, and you immediately get options to put it in an email, text, or to Twitter. That, or you can just copy and paste it somewhere else! Speech To Text is next up on our list, and is a colorful and powerful apps for translating speech into a text format. This one is a favorite on the iTunes App Store, rated at a whole 4.9 stars. 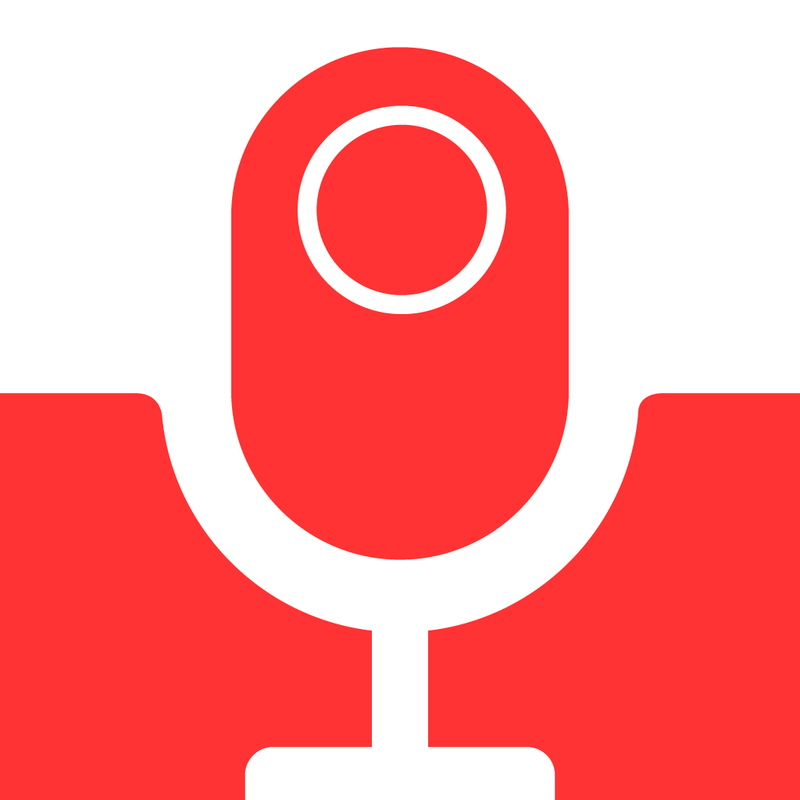 Press the microphone button at the bottom middle of the app, start talking, and your speech is immediately transformed into text as you talk. Once you’re done, you can choose to share your newly transcribed text to a handful of different platforms, including email, social media platforms, and your native text messaging app. Voice Dictation might be last up on our list, but it’s a great way to start transcribing your voice into text. The app itself is fairly simple and basic as far as the design goes. Open the app, and then at the top, you can choose what language you want to use Voice Dictation in. You can also just tap the flag at the top to start and stop dictation. Once you’re done talking, you can easily share your message to other platforms, such as Email, a Text Message, or any of your favorite social media networks. As you can see, there are a lot of excellent ways that you can start transcribing your speech into text that you can share on a bunch of different platforms. If you’re looking for the creme of the crop in speech to text apps, you’ll have the most luck with Transcribe or Just Talk. Do you have a favorite speech to text app? Let us know in the comments section below!